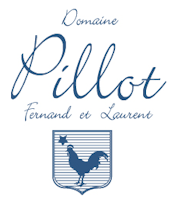 Father and son Fernand and Laurent Pillot are 4th and 5th generation winemakers in Chassagne Montrachet and LEA & SANDEMAN are proud to have sold their wines for a number of years now. The 2011’s that we showed recently continue their fine tradition of quality. All prices quoted below are In Bond prices. For Duty Paid prices and all other conditions please see the LEA & SANDEMAN web-site. The entire LEA & SANDEMAN range of 2011 Burgundy can be found on our web-site, complete with our and others’ tasting notes.